The Benchmade Knife Company is a knife manufacturer run by Roberta and Les de Asis in Oregon City, Oregon, United States. Its products are geared toward many niche markets, such as outdoor sporting cutlery, rescue, law-enforcement, martial-arts, and military. 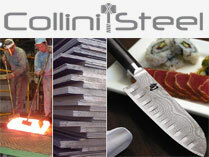 The company has collaborated with a number of custom knife makers since its inception. 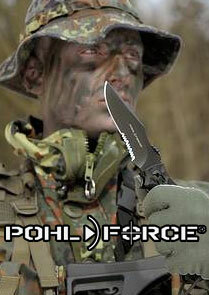 Benchmade started in California in 1979 as Bali-Song, changing its name in 1988 to the Pacific Cutlery Corporation. In 1990 the company moved to Clackamas, Oregon. Benchmade became known primarily as a manufacturer of butterfly, or balisong-style knives, which it continues to manufacture. These knives have been so identified with the company that Benchmade has registered "Bali-Song" as a trademark and logo. Benchmade's original Bali-Song design by Jody Samson was awarded Blade Magazine's Knife of the Year Award in 1979. As of February 2009, the company was employing approximately 150 people. 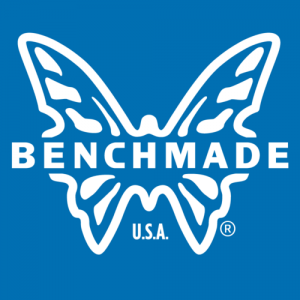 Benchmade has had several years of growth and has expanded both the variety of knives it produces and the facility itself. Épais lorsqu'il est fermé: 11.4mm. Longueur de lame: 82 mm. Epaisseur de lame: 2,5 mm. Longueur de la lame: 78mm. Epaisseur de la lame: 2.3mm. Ce couteau de plongée a été initialement développé pour un programme militaire. Longueur de la lame: 8,6 mm. Épaisseur de la lame: 3.7mm. Epaisseur de la lame: 2.85mm. Epaisseur de la lame: 3,1 mm. Couteau adapté à la chasse, bonne skinner, pratique et robuste. Merci d'acier CPM-S30V permet d'obtenir une grande capacité de coupe et une étanchéité substantielle du fil. Longueur de la lame: 106 mm. Longueur de la lame: 87 mm.